This entry was posted in Tour Stories. Bookmark the permalink. Connected? Of course, Sean, everything in Edinburgh is connected. 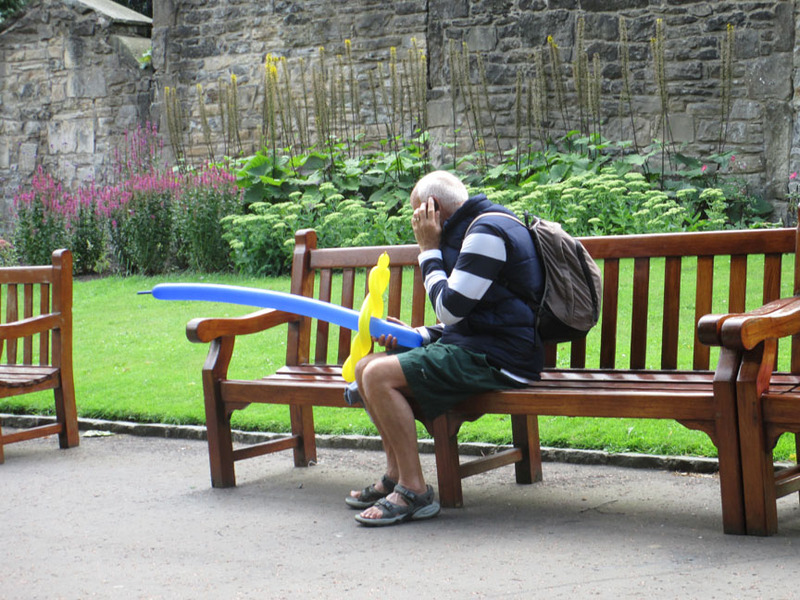 The man with the erect blue balloon is trying to phone the juggler to tell him he will be late. The juggler’s act usually showcases him juggling three objects: the two knives he is juggling in the second photo and the blue balloon. Without the balloon, the juggler’s act has no edge to it. It just won’t cut it. The crowds in the park below Edinburgh Castle are turning away from the juggler. 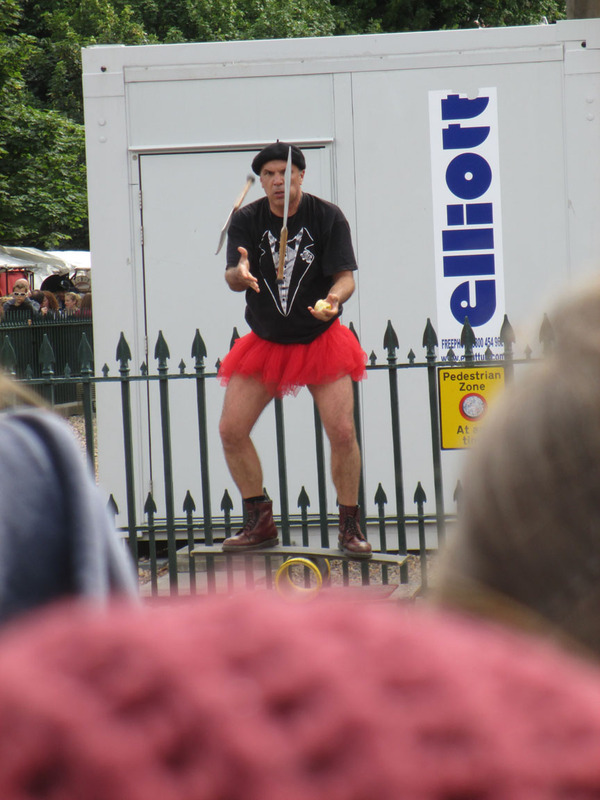 Desperate to hold his audience, he adds a pink tutu and a balancing board to his act. But without the blue balloon, the act is destined to fail.